Cleopatra VII was born in 69 B.C. Her father was King Ptolemy XII, and her mother was believed to be Cleopatra V. They were members of the Ptolemaic dynasty. Originally her family came from Greek Macedonia . They Ptolemy family spoke only Greek, and they refused to speak Egyptian. Cleopatra never learned Egyptian, even though she proclaimed that she was the reincarnation of the Egyptian goddess Isis. Cleopatra grew up in a palace in Alexandria where she was always at odds with her brother Ptolemy XIII. When their father died in 51 B.C., they became co-rulers of Egypt and married. After they became the rulers of Egypt they continued to be at odds. At this time, Cleopatra was 17 years old, and her brother was only 10 years old, Then one day, Ptolemy XIII and his adviser regents Pothinus and Achillas surprised Cleopatra by expelling her into the desert. However, Cleopatra was not about to be stopped, she assembled her own army to attack Achillas. During the mid-60's B.C., Pompey the Great, Marcus Crassus, and Julius Caesar had formed a military and political alliance called the First Triumvirate. This alliance was solidified when Caesars daughter Julia married Pompey the Great. The alliance would soon fall apart after the death of both Julia and Crassus. Not long after, Pompey and Julius Caesar went to war against each other until Pompey was defeated at the Battle of Pharsalus. As a result of his defeat, Pompey sought refuge in Egypt. At almost the same time, Julius Caesar was arriving with his forces in Alexandria. Unknown to Caesar, Pompey had been captured and decapitated by the Ptolemy. Caesar was completely startled when a short time after he arrived the Ptolemy presented him with Pompey's head. They thought Caesar would be happy with the gift of his enemies head. However, what they did not realize is that Pompey was the widower of Caesar’s daughter. Caesar was infuriated. Not long after, Caesar and Cleopatra started a torrid love affair and she bore him a son named Caesarion. Before long, Caesar defeated Ptolemy XIII at the Battle of the Nile. The victory restored her to full power. Then, on January 13, 47 B.C., her brother Ptolemy XIII drowned while crossing the Nile River. Following his death Cleopatra elevated her younger brother Ptolemy XIV to her royal consort. 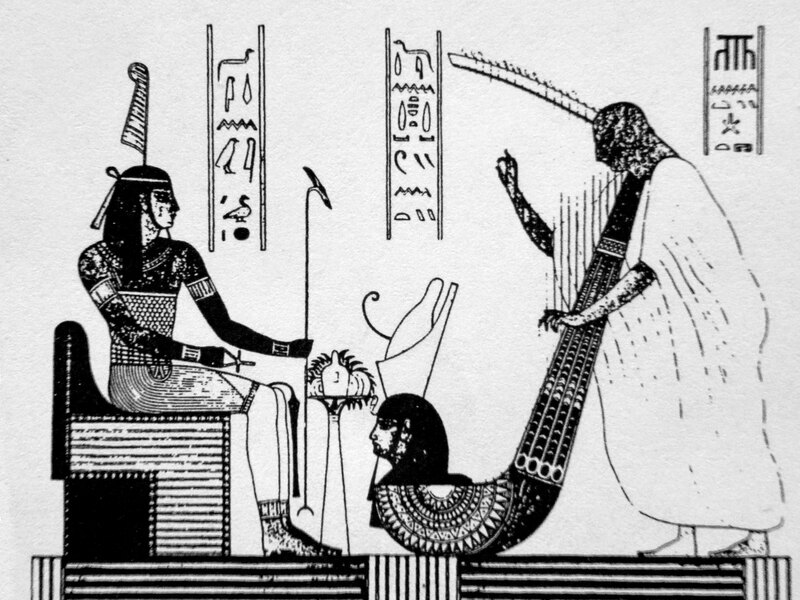 At this time she became the sole ruler of Egypt. Just a short time later, Cleopatra moved to Rome to be with Caesar. She stayed in Rome until Caesar was assassinated three years later. Upon her return to Egypt she became involved in a relationship with Marc Anthony. They had three children together before Marc Anthony was forced to return to Rome and marry Octavian's (Augustus) sister Octavia Minor. However, soon after the marriage he returned to Egypt and Cleopatra, divorcing Octavian's sister. Octavian was irate, he accused them of all kinds of scandalous things until a full civil war erupted. Octavian easily defeated by Marc Anthony at the Battle of Actium. Both Cleopatra and Anthony fled to Alexandria where she attempted to negotiate with Octavian. Then when Marc Anthony realized that all was lost he killed himself. Cleopatra had other ideas, she tried to seduce Octavian, but he wanted nothing to do with her. Her empire was now lost. Soon after, Cleopatra joined Marc Anthony by committing suicide. His suicide ended the long running Ptolemaic dynasty. As a result, Egypt became just another province of Rome, and Octavian became the uncontested emperor of the Roman Empire.